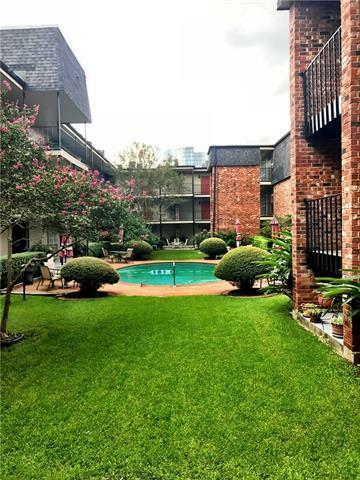 BEAUTIFUL, 2 BEDROOM/2 BATH GROUND FLOOR CONDO IN ONE METAIRIE PLACE! GRANITE IN KITCHEN AND BOTH BATHS, HARDWOOD AND CERAMIC TILE FLOORS THROUGHOUT, STAINLESS APPLIANCES, INSIDE LAUNDRY CLOSET. GATED COMMUNITY WITH IN GROUND SALTWATER POOL. GREAT LOCATION, CONVENIENT TO INTERSTATE AND SHOPPING! CONDO FEE INCLUDES WATER, COMMON AREA MAINTENANCE, FLOOD AND HAZARD INSURANCE ON BLDG. AND TERMITE CONTRACT. Listing provided courtesy of Eileen M Planetta of Top Agent Realty, Inc..